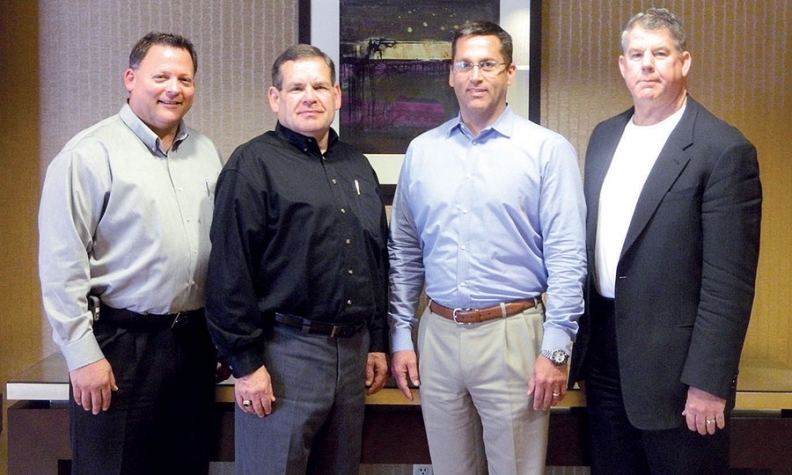 The Iowa Automobile Dealers Association's new officers are, from left, Jeff Finch of Wes Finch Auto Plaza in Grinnell, treasurer; Dave Edwards of Edwards Auto Group in Council Bluffs, immediate past chairman; Jeff Weber of Anderson-Weber Toyota-Scion-Lincoln in Dubuque, chairman; and Brad Deery of Deery Bros. of West Burlington and several other Iowa dealerships, vice chairman. Not pictured is Jim O'Halloran of O'Halloran International in Altoona, secretary. John Isaacson, left, dealer principal at Lee Honda in Auburn, Maine, received a 40-year award from American Honda Motor Co. Also pictured is Bill Menke, dealership manager. 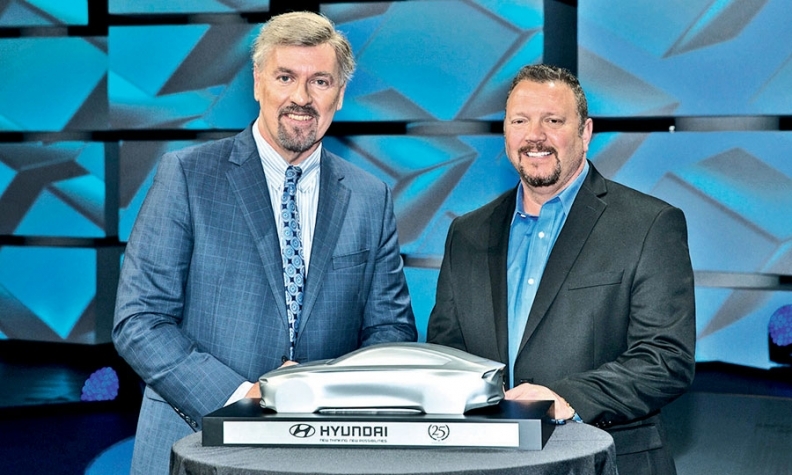 David Alfano, right, general manager of Torrington Hyundai in Torrington, Conn., receives a 25-year award from Dave Zuchowski, CEO of Hyundai Motor America.